Look for increased use of radiology apps in 2018. Read the blog in Spanish. There are many old friends and a few new capabilities in the list of best radiology apps for 2018. In both iOS (with over 2.2 million apps) and Android (more than 2.8 million apps) some of the old standbys are still among the most popular in use today. Find all of these radiology apps in the App Store and Google Play. Many apps are designed to help teach radiology. One of the coolest of these, at least from a graphics standpoint, is k-space Odyssey, an app that helps users understand some of the concepts and variations in MRI. Interactive sliders let you apply high- and low-pass filters, a sparsity filter, and motion artifacts. You can also vary Voxel size, and apply other effects not only on supplied images, but also on your own imported images. It’s educational, easy, and fun to use. 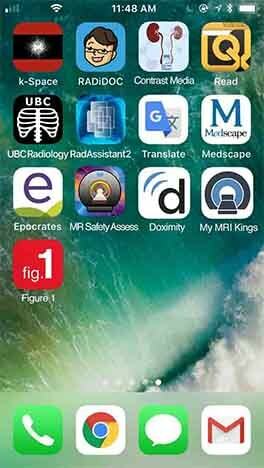 The UBC radiology app is based on the radiology undergraduate curriculum at the University of British Columbia (UBC). This app will serve as an introduction to radiology as well as a refresher for those studying for exams. It will challenge you to decide on the appropriate modality to choose—CT, MRI, radiography, or ultrasound—or no imaging at all. In addition, it offers insight into approaches, pre-clinical insight, and examples with imaging for study and analysis. A useful safety app is Dr. Emanuel Kanal’s MR Safety Implant Risk Assessment. This app complements The Kanal Method safety training. Its checklist approach will be a refresher to those who have completed a course, and helpful to those who have not pursued formal MR safety certification. It is designed for those scanning patients with implants or devices. It was also listed as one of the Top Apps in 2017. To help radiologists and technologists minimize renal Nephrogenic Systemic Fibrosis (NSF) and Contrast-Induced Neuropathy, the Contrast Media: NSF vs. CIN app is useful to assess risks and benefits in choosing the safest contrast agent for renal impaired patients. This app was a semifinalist in Aunt Minnie’s Best Radiology Mobile App 2016, and one of Diagnostic Imaging’s Top Apps for Radiology 2017. A useful app for radiologists and other readers of diagnostic imaging medical journals is Read by QxMD. This app lets you search, browse, and access full text through your subscription (or university subscription) and provides a way to share articles over email, Twitter, and Facebook. 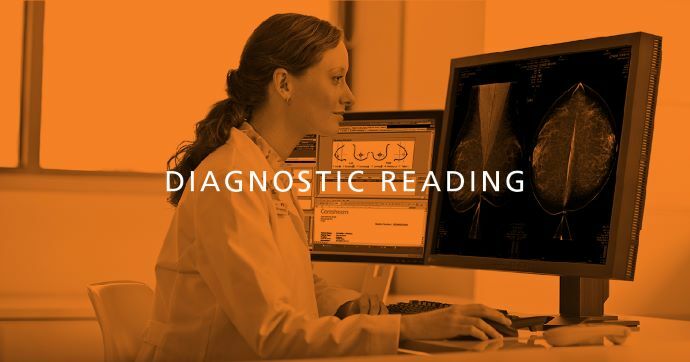 Another useful app to help radiologists and technologists keep up with the growing radiological literature is RadAssistant2. It offers search capabilities across dozens of medical publications indexed with photo clips for easy reference. The EVMS Rad App provides simple access to protocols, schedules, and contact information for residents and attendings to facilitate consultation. Two apps that are as useful to clinicians on a daily basis today as they were in 2015 are Epocrates for drug information and Medscape to stay current with medical news. 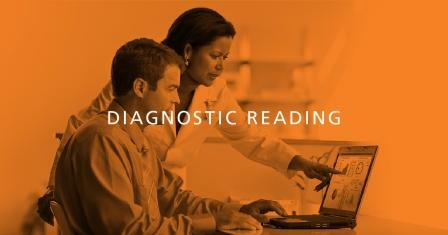 But there are other notable radiology apps that are growing in usage and acceptance. Over half a million clinicians communicate with other medical professionals using apps like Doximity, and over a million medical professionals share medical images and request feedback from other clinicians on a puzzling case using the app Figure 1. These apps encourage image sharing and support collaboration and community among clinicians. Finally, no article on apps in 2018 would be complete without mentioning the Google Translate app, which can help clinicians overcome language barriers with 2-way instant speech translation in 32 languages between patients and clinicians. Retrouvey, Michele, et al. “Streamlining the Radiology Consultation Service in the Digital Era.”Journal of the American College of Radiology, vol. 14, no. 11, Nov. 2017, doi:10.1016/j.jacr.2017.07.022. Rahmani, George, and Peter A McCarthy. “The Use of Mobile Apps by Radiology Journals.” Journal of Digital Imaging, vol. 30, no. 5, Oct. 2017. Robert Dostie is Senior Executive Director of Global Marketing and Sales CRM at Carestream Health. He has extensive experience in information technology, and engineering and manufacturing technologies. He has been working in the healthcare market for 15 years.